im so old 8 years? For a while now I've been going through some transitions with regards to modding and my place in the community here. Stepping down as T3A Division Leader and as staff, renaming Lone Wolf to Return of Shadow and changes to the way I worked. Since the new year I've spent more time inactive than active with the mod which has never happened before I have been pushing myself to work on the mod and setting release dates to motivate me. Then about a week before I was planning to release Beta 0.2 everything changed suddenly I lost all interest in modding and I think I've finally after almost 8 years reached a point where I don't think I can continue. I was burnt out and just tired and I think I need a change. So I'm retiring from BFME modding and wrapping up things for Return of Shadow, Age of Numenor and any related projects. I'll no longer be working on the mods of providing support. This is just 3 days before the 8th year anniversary. On April 14th I'm hoping to release a final limited edition of Return of Shadow with Rivendell and probably some of the more complete factions it will be released as is and again no support given. Coming up in the next few months is my 30th birthday (hence my recent bout of reflection and abrupt changes) which is probably the major driving point for this decision. I want to try new things and find a new project to work on something will move me forward in my goals. I'll still be around T3A and Revora spamming up the place but it'll be in a lesser capacity. Something I've learned over the last 8 years is no one climbs to the top alone and we build on what's past. It's important to acknowledge those who help out. I would like to thank T3A/Revora for hosting me for these many years and it's members for keeping me entertained for the good and the bad. I would also like to make an extra special thanks to everyone who helped work on and test this project from it's very early days as the Evil Men mod through Lone Wolf mod to Return of Shadow despite being called Lone Wolf it hasn't been a solo project for a long time. Duku helped me out when I was first started he has long since left the community but without which there probably wouldn't have been a mod today, it was with him that the name Lone Wolf came about. Fishbone who has also moved on stuck around for a very long time and helped out in whatever way he could. Fredius/Bashkuga who followed the mod for quite a long time and who eventually joined as a mapper and has become I think one of the best and I'm looking to seeing how he continues to improve in the future. Matt the Legoman for his maps and support. Namo for his lore work and support. My Private Beta testers and Access beta testers I've had many over the years and have helped out a lot. DIGI_Byte for all the support and 3d modelling over the years. So stay tuned around the 14th as I put the last of my modding work in a hopefully release the final version. Oh, god, another one gone! But eight years is exceptional, and it's been a pleasure to see your work continue to flourish over that time, and I'm sorry to see you end it. But you better stay around, we still need the veterans of modding to go to! Omg, I never imagined that this would happen . This mod was imo the greatest mod ever, and I spent 5 years following the mod, which I enjoyed very much. I'm sorry if I seem inactive lately, really never expected that my school would be this hard, but I was planning to continue on full time mapping on summer holidays. As for you Rad, you are without doubt the greatest modder this game ever had, most mods consist of a moddeler, a coder, a mapper and so on. You could do all these things on your own, and with great quality which was also very unique, that's what makes you the best. 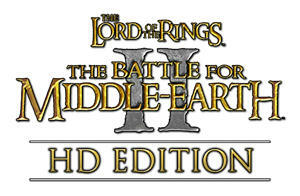 And let's not forget that you always explored bfme modding to it's limits, everytime looking for something new that had never been done, thus making this the most original mod ever. And I also wanted to say you were a great leader of the mod, and I enjoyed working for you boss. As for me, I don't think I will map for another mod for a while, perhaps in the future I will try to give it a shot, but for now the grief is too much for me. Last thing I want to say is that everyone here in t3a should try the mod, you have no idea what you're missing if you never played it. I secretly hope that one day this mod will revive, like some mods do lately, and if that miracle may happen, then I'll certainly be there. But that will all be Rad's decision. Radspakr, thank you for everything you gave us here, you are the best . Edited by Bashkuga, 11 April 2014 - 11:06 AM. Sorry to hear it, your mod brought in a fair bit of activity over the years. I'm archiving your subforums, then. EDIT: Somehow your announcing another version didn't register with me. Do you want to be unarchived as we await this release? Sad to hear this, I wish you good luck on your future projects. What a pity, another big project at T3A comes to an end. I think I can understand your motivations though, 8 years truly is a very long time. Much longer than most people here even stayed on as members. I should have retired 10 days earlier and really screw with people's heads. Thanks Rad for everything you have contributed to BFME modding and the T3A community. Change is a necessary part of life, and it should not be seen as a negative. You may be moving on from BFME modding nut I'm sure you will do great things in the next interest or passion. I'm surprised this mod got as far as it did and expected it to skunk much sooner. Unless it's payware nothing that's free ever comes to fruit. There is an old saying "you get what you pay for" and that saying has never failed me yet. Anything else is a trap or just something to goof off with but not be taken seriously. Edited by SortingHat, 11 January 2018 - 12:24 AM. Yeah that's kind of a strange statement. The post is from 2014, by the way. Radspakr's actually still working on the mod. Other 'freeware' mods have also seen releases. Also tagged with one or more of these keywords: im so old, 8 years? Started by Stealthsnake, 13 Mar 2012 only been like 4 years!